Lake Mary Commercial Landscaping | Servello & Son, Inc.
For over 25 years, Servello and Son have served local businesses with affordable priced and detail oriented landscaping for Lake Mary and the surrounding communities. We focus on the design, installation, and maintenance of beautiful and fully functional properties in need of vibrant outdoor scenery. 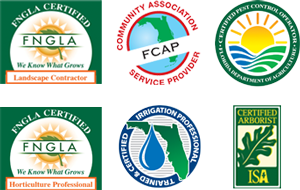 Every feature from turf and shrub care, horticulture, and arbor care, and efficient irrigation systems are completed by skilled and highly trained professionals. Every customer and property are distinct in its landscaping needs, and we pride ourselves on the personalized attention delivered with every project. We offer custom service packages that fulfill the exact services of your unique situation while fitting comfortably within a reasonable budget. 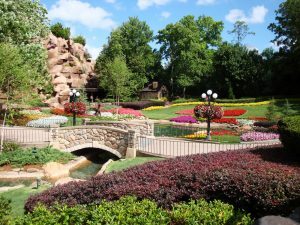 In providing effective and comprehensive commercial landscaping for Lake Mary, we eliminate the need for worry or concern of additional outdoor maintenance. Our packages include every detail from pest and fungus control to fertilizer and preservation. When our company began in 1989, we served the local area with only 1 truck, 1 trailer, and 3 employees. Today we provide comprehensive commercial landscaping for Lake Mary and the surrounding communities with an entire fleet of vehicles and a staff of over 100 qualified technicians and professionals. We feel it is our duty to enhance the community with the affordable and eye-catching scenery. Quality landscaping service requires detailed attention to not some but all aspects of care and maintenance. We stand behind the quality of our workmanship and the integrity of services. By treating every customer as our friend and neighbor, we establish a standard of camaraderie and respect upon which our company has flourished. As an equal opportunity employer, it is our duty to provide our staff with the appropriate tools and knowledge to succeed in the industry. Our employees undergo extensive training with continued education and mandatory certification. Foremost knowledge of specialized fields keeps us at the cutting edge of commercial landscaping in Lake Mary. At Servello and Son, we are licensed and certified in a number of related landscaping skills. Our qualifications have earned us numerous awards within the community, and a broad range of glowing testimonies from our many satisfied clients. Call today for your free quote on commercial landscaping in Lake Mary.